Today big companies are fighting for your Internet business. These include big phone companies, satellite operators, and cable television providers. It seems that increasingly we are hearing about the good reasons people use cable Internet. These reasons are very real, but there are also reasons some consumers do not like cable. Let’s take a look at both the advantages and disadvantages of using a cable Internet connection. 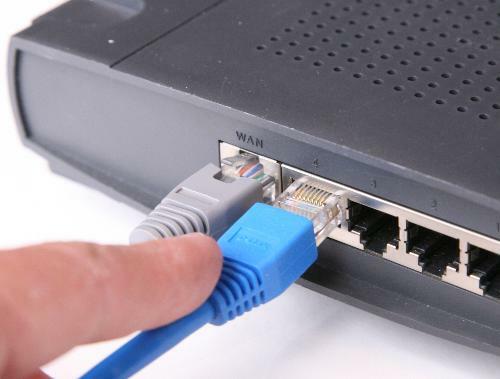 Just to clarify the subject, a cable connection merely means that your Internet signal is sent over the same cable that you use to watch television. Most cable TV companies are also cable Internet providers. Many consumers feel that the greatest advantage of cable is that it provides the fastest and most trouble free Internet connection available. They feel this way because an Internet connection using a cable modem generally promises a greater level of bandwidth than DSL (which uses a telephone line) — and more bandwidth translates to faster speed. For years cable providers have been offering download speeds up to 30 Mbps. Most DSL services, on the other hand, are unable to provide download speeds greater than 10 Mbps. To add insult to injury, cable companies have recently started offering ultra packages featuring download speeds up to 100 Mbps! These companies boast that, at 100 Mbps, it is possible to download a complete two-hour feature film in about two minutes! Another advantage of a cable connection is that cable companies generally provide excellent customer service and very little down time. If you have a problem with your Internet connection, you can usually get a solution with a simple phone call. Most of the customer service technicians working with Internet customers are extremely intelligent and know their business. And, because the cable coming into your home is usually buried underground, there are less things that can go wrong. As a result, service interruptions are very infrequent. So even though cable companies generally provide the fastest speeds, excellent customer service and the fewest service interruptions, there are also disadvantages to using cable Internet. Just because you have cable television doesn’t necessarily mean that cable Internet is available to you. Why? The answer is that not every cable infrastructure is designed to offer 2-way transmissions using a cable modem. As time moves forward, however, this is proving to be less and less of a problem since Internet service is the largest major profit center for cable providers. Another disadvantage is that cable providers frequently place speed limitations on residential customers, resulting in a lower bandwidth. As a result, your actual speed may not be as fast as promised. Companies do this for a number of reasons. One is that cable customers share their bandwidth with other cable customers in their neighborhood and speeds can fluctuate based on the volume of individuals sharing the cable bandwidth at the same time. Cable companies also offer telephone service known as VoIP (which means voice over Internet protocol). This service allows subscribers to place and receive phone calls using their Internet connection instead of a standard analog phone line. While this service is generally cheaper than analog service and frequently offers free domestic long distance and very reasonable International rates, it also uses broadband – thus competing for your bandwidth. So, when you boil it all down, is cable the right choice for you? Millions of cable users love their fast, trouble free Internet connections. Others, however, point out that what is delivered is not always what is promised. They feel that cable service suffers during peak usage hours due to the heavy neighborhood demand put on their local cable. Perhaps it is time for you to try cable Internet and decide for yourself. Guest author Bob Brownell enjoys writing about a variety of topics, including technology. If you enjoyed his article on cable internet, you might be interested in learning more about broadband options in your neighborhood.